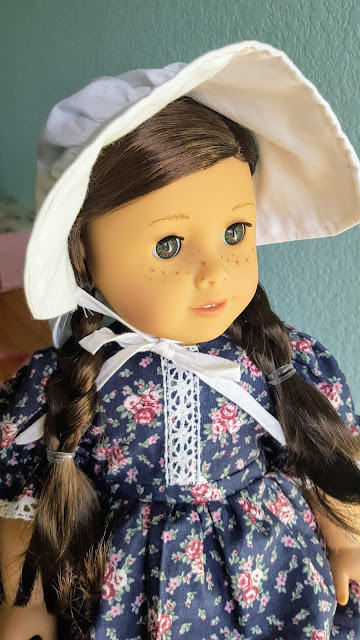 Sewing for dolls is so fast and easy and addicting! This went together in just a few hours, and the model doesn't squirm! I actually bought a half yard of this pretty blue cotton at the fabric store just for this project--it was so perfect, and it's so easy to spend just a few dollars when you need so little fabric! 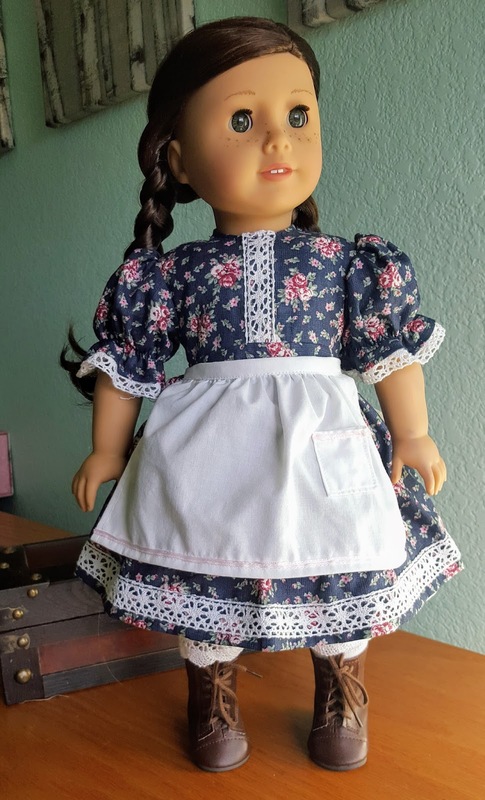 This was also from the American Girl Historical Pattens, this time the "Apron Dress" style. I added cotton lace down the front, on the puffed sleeves, and along the hem. 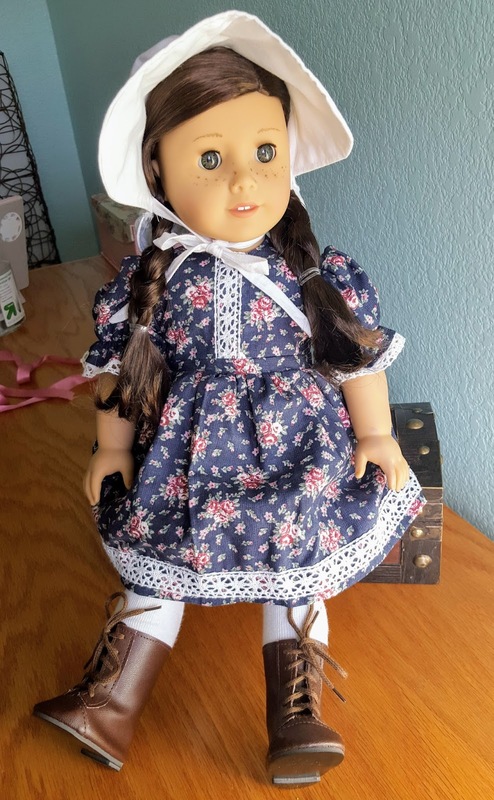 I do wish that these dresses were a little bit longer per historical accuracy, but they doo look really cute when the lace from the bloomers pokes out from underneath the hem. I had a little bit of trouble with the elastic on the sleeves, but I'm pretty sure it was user error. Overall the pattern was easy to follow and went together simply and easily. I lined the bodice with fabric that same white cotton sheet that I used to make her underthings. Yes, there's more. I haven't taken pictures of the other stuff I made yet, but I will! I also have been buying, downoading, and collecting doll patterns from Pixie Faire Doll Clothes. They have some really cool stuff!